The 9th 10th and 11th chapter of Romans deals exclusively with Israel and it’s yet future destiny in prophecy. As has been the case in orthodoxy for the last 1600 years, since the teachings of Origin and Constantine; the Roman Catholic Church, as well as orthodox Protestants denominations have taught that the church was to take the place of Israel in prophecy. It is highly significant that the 70-Week prophecy of Daniel, while detailing the history of God’s people, “Seventy weeks are determined upon thy people . . .” (Daniel 9:24), has nothing to say about a period of history which is now known to consist of nearly two thousand years and counting. 2) This “gap” history of the Church. The two programs harmonize perfectly but do not interfere one with the other, nor do they overlap in time. The Greek word (pleroma), which is translated into English word “fullness,” is a word which involves the completion, according to number, normally used of the numbering of oarsmen in a ship, or sailors completing the mandatory requirement in order to the ship to be seaworthy. This is commonly referred to as the “caught up” (Latin: Rapture), referred to in 1 Thessalonians 4:17, when the last believer within the church is saved. This is when God’s time clock, Israel again becomes the predominant emphasis in world history, and Daniel 9:20 6B begins. It is and a finding by contrast the difference between Israel and the church, that clarity can be achieved. 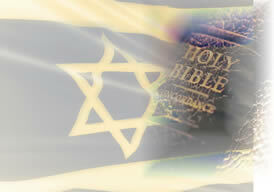 Israel is a nation chosen by God and sustained by covenant promises (Deut. 7:6-9). Not all individuals in this chosen nation are saved (Rom. 9:6; 11:28). The Church is a called out assembly of believers who have been “spirit baptized” into the body of Christ (1 Cor. 12:13). Every member of the body of Christ is saved, though there are multitudes of professing Christians who may not be saved (2 Tim 2:19). Israel traces its origin to Abraham, Isaac and Jacob (Jacob being the father of the twelve tribes). The Church traces its origin to the day of Pentecost (Acts 2) when believers were first placed into the body of Christ. In God’s program for Israel, His witnesses comprised a nation (Isaiah 43:10). In God’s program for the Church, His witnesses are among all nations (Acts 1:8). God’s program for Israel centered in Jerusalem (Matt. 23:37) and will again center in Jerusalem during the Tribulation (Matt. 24:15-20) and during the Millennium (Isaiah 2:1-5). God’s program for His Church began in Jerusalem and extended to the uttermost parts of the earth (Luke 24:47; Acts 1:8). The Church is identified with the risen Christ, not with any earthly city. The hope and expectancy of Israel was earthly, centering in the establishment of the Kingdom of the Messiah foretold by the prophets (Jer. 23:5-8; Isaiah 2:1-5; 11:1-16). The hope and expectancy of the Church is heavenly, centering in the glorious appearing of Christ to take His people to heaven (John 14:1-3; Phil. 3:20-21; Col. 3:1-4; 1 Thess. 4:13-18). God’s purpose and program for Israel was revealed in the Old Testament Scriptures. God’s purpose and program for the Church was not revealed in the Old Testament, but was revealed by the New Testament apostles and prophets (Eph. 3:5). Israel’s history which is in view in Daniel 9:24 (the 70 weeks or 490 years) involved animal sacrifices. These years will include the tribulation. Israel’s millennial history will involve the same (Ezek. 43:27). The Church’s history does not involve animal sacrifices. Messiah’s sacrifice is remembered by means of the Lord’s Supper. Israel’s history which is in view in Daniel 9:24 (the 490 years including also the Tribulation) involves a temple in Jerusalem. The same will be true in the Millennium (Ezek. Chapters 40-48). During most of the Church age there is no Jewish temple in Jerusalem. In this age God manifests His glory in His believers, both individually and collectively, designating them as His temple (1 Cor. 3:16; 6:19-20; Eph. 2:21-22). This is accomplished by the indwelling ministry of God the Holy Spirit. Israel’s history which is in view in Daniel 9:24 (the 490 years) involves a priesthood limited to the sons of Aaron, and excluding most Israelites. The same applies to the Millennium when Zadokian priests (also sons of Aaron) will serve in the temple (Ezek. 40:46; 43:19; 44:15). During the Church age every true believer is a priest and able to offer spiritual sacrifices (praises) to the Lord (Heb. 13:15; 1 Pet. 2:9; Rev. 1:6). Whereas Israel had a priesthood, the Church is a priesthood. Israel’s history which is in view in Daniel 9:24 (the 490 years) will terminate with the coming of the Messiah to the earth to establish His Kingdom reign. The Church’s history will end at the Rapture of the Church when the fullness of the Gentiles comes in (1 Thess. 4:13-18; Rom. 11:25). During Israel’s history (the 490 years of Daniel 9:24 which also includes the Tribulation) the ethnic makeup of the world has two corresponding parts: Jews and Gentiles. This division of all people into Jews and Gentiles will also apply to those in the Millennial Kingdom in natural bodies. During the Church age from Pentecost to the Rapture the ethnic makeup of the world has three corresponding parts: Jews, Gentiles, and the Church of God (1 Cor. 10:32), the Church being composed of saved Jews and Gentiles united together in one Body (Eph. 2:15; 3:6). During Israel’s history, from Sinai to the Millennial Kingdom (excluding the Church age), Israel’s role in the world will be characterized by PRIORITY (that is, they will have a leading role as God’s chosen people) see Deut. 4:6-8; Isaiah 43:10; Matt. 10:5-6; Zech. 8:23. During the Church age, Israel’s role in the world will be characterized by EQUALITY, Jew and Gentiles united together in one body to bear testimony to the risen Christ (Col. 3:11; Gal. 3:28). Male Jews were circumcised as a sign of the Abrahamic Covenant. Believing Jews were circumcised in the heart (Jer. 4:4; Rom. 2:29). Believers of this age enjoy an internal circumcision not made with hands (Col. 2:11; Phil 3:3). Physical circumcision is not required. Israel was under the law of Moses as a rule of life. The Church is under the “new creature” rule (Gal. 6:15-16). Unbelieving Jews were physical children of Abraham and spiritual children of the devil (John 8:37-44). Every believer in Christ (every true member of the Church, whether Jew or Gentile) is a child of Abraham and a child of God (Rom. 4:11-12; Gal. 3:26-29). This does not mean that Church age believers are Israelite. Israel was to observe the Sabbath Day (Exodus 20:8). Sabbath observance will also take place in the Tribulation (Matt. 24:20) and in the Millennium (Ezek. 46:1, 3). The Church is to be diligent and make every effort to enter into God’s rest (Heb. 4:9-11). This is a daily duty. Membership into the Jewish nation was by birth or by becoming a proselyte (a convert to Judaism). Membership into the Church is by the new birth accomplished by the baptizing ministry of God (1 Cor. 12:13). Israel’s place of worship centered in Jerusalem (Dan. 6:10; John 4:20) and this will also be true in the Tribulation (Dan. 9:27) and in the Millennium (Isaiah 2:1-5). The Church’s place of worship is “where two or three are gathered together in My Name” (Matt. 18:20; John 4:21-24). Christ is in the midst of His Churches (Rev. 1:13, 20). The more we see a distinct plan for Israel in contrast to the distinct plan for the Church, the more we realize that when the New Testament speaks to the Church it is describing a separate destiny and hope for us as compared to Israel. The Church becomes more distinct in the plan of God. Israel’s future includes the seven-year tribulation and then shortly before Christ’s return to Jerusalem she will be converted to Jesus as her Messiah as the veil is removed and then she looks upon the One Who was pierced (Zech. 12:10 and Rev. 1:7). On the other hand, the distinct hope (the Rapture before the 70th week of Daniel) for the Church is Christ’s any-moment return (1 Cor. 15:52).